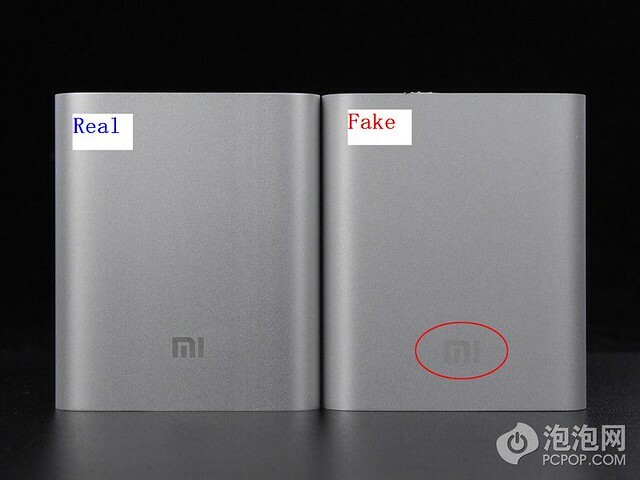 Please take note of the danger of using Fake Xiaomi Power Bank! Xiaomi does not have distrrbutors or resellers! Millet Millet recently introduced high cost power, 10400mAh power millet also sell RMB 69 million, but because the supply is insufficient to maintain, difficult to buy in Hong Kong / Taiwan, and even speculators speculation millet power. Recently, a Hong Kong Weibo user "G two Bible Y", the online home buying power of millet, millet power suddenly ignite and explode. And the millet has twice the power and more explosions, one of which exploded batteries after flying into the sofa and sparked a small fire. How to know it is fake? There are three different points on the one side. 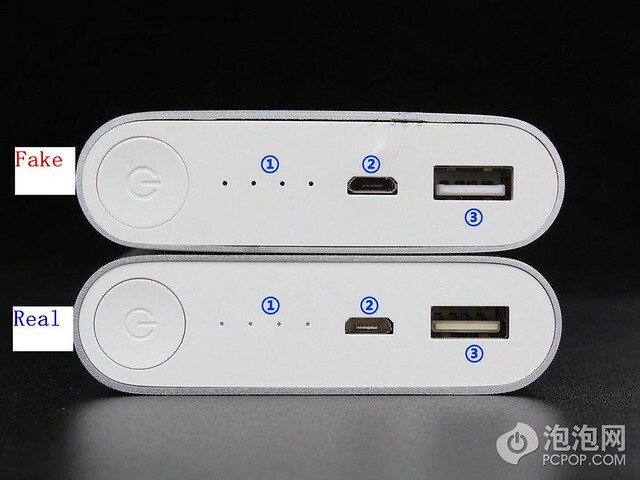 1: fake Power Bank indicator light diameter is large; real one is small 2: fake Power Bank Micro - USB port internal is black; real one is white 3: fake Power Bank USB top port is white; real one is beige. Fake Power Bank label font edge is blur; Real label font edge is sharp. Real Power Bank is using the LG batteries, and batteries and PCB connection handle very well. Fake Power Bank batteries used the miscellaneous brands, and positive and negative terminals connection only through a thin line, the output current is high, the wire will heat. 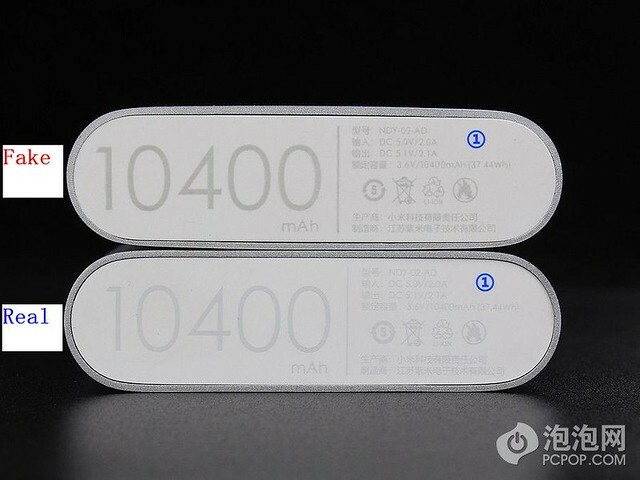 Real XIAOMI Power Bank, in the middle of the chip, from Texas instruments, BQ24195, this IC is lithium battery pack 18650 charge and discharge control chip, the highest can support 4A current recharge itself, the conversion efficiency is 92% in 2A charging, when the output current is 2.1 A, the efficiency is 91%, internal integration MOSFET, only 12 milliohm conduction resistance, the highest discharge current support to 9 A. These specifications are far higher than the current 2A charge and discharge applications. In addition, this IC win almost everything lithium-ion batteries, the voltage of 3.5 V to 3.5 V is controllable, and even less commonly used 3.6 V lithium iron phosphate are supported. This IC with the left side of the ABOV 8-bit microcontroller can realize automatic unlock the function of charging, this single chip microcomputer is also responsible for control LED lights, of course. In general, from the transformation circuit, the class is the highest, and work is also the best. But fake Power Bank chip was polished off, other configuration and common low-end Power Bank on the market used the same solution, the overall cost less than a third of the real one. Video on disassemble fake powerbank. 齐天米粉 + 10 + 3 Thanks! guys can we make a repository of all the sites which are selling fakes? This might help other users. Tips from Xiaomi Singapore, check this out. just discovered i got a fake xiaomi batt. open it up and compare with a real one. it is PINK in color, sorry i did not open a real one for this one. Thanks for the tips. Maybe you can upload another picture with higher resolution, so that more people will benefit by your thread. Opps, maybe you should stop using it. It's kind of dangerous. Yes stopped using it and thus rip it apart to take photo. the fake one cannot do this. OMG, stop using it. U may get hurt! Good information. But what is the difference in the prices of both in the market?